Strahlhorn 4190m - Saas-Fee Guides - The mountain guides of the Saas-Fee valley. A gleaming glacier mountain which offers a majestic view. 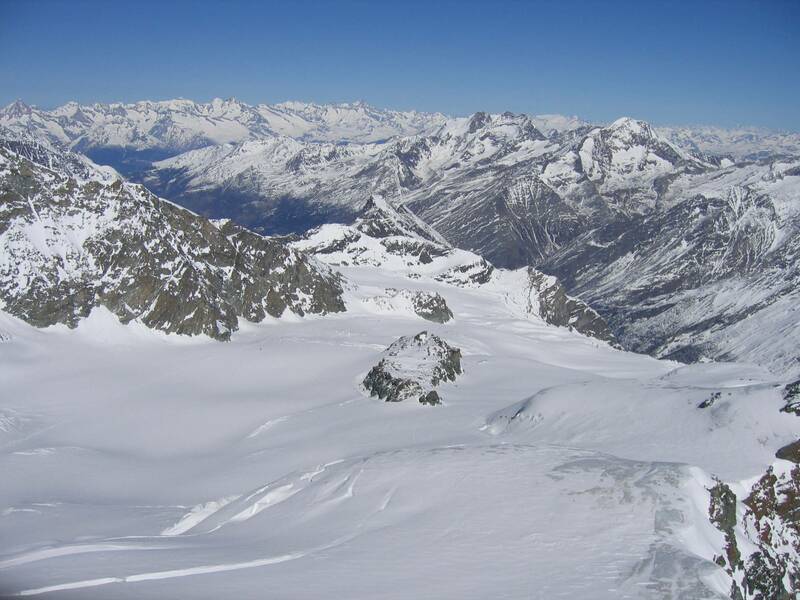 The Strahlhorn is the perfect touring mountain for all well-trained ski mountaineers. 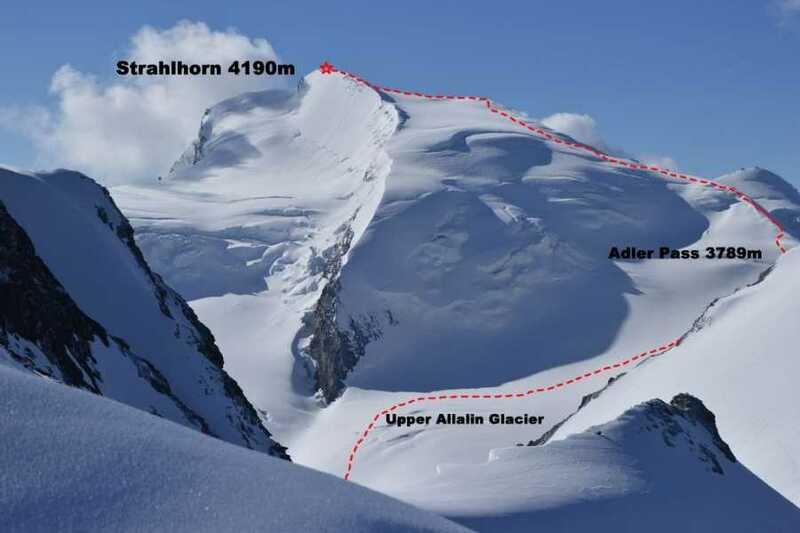 The tour to the Strahlhorn can be done in one day from the intermediate station of Metro Alpin or as a 2-day tour from Britannia hut (from beginning of March). The Strahlhorn day tour start from the intermediate station of Metro Alpin on 3200m. 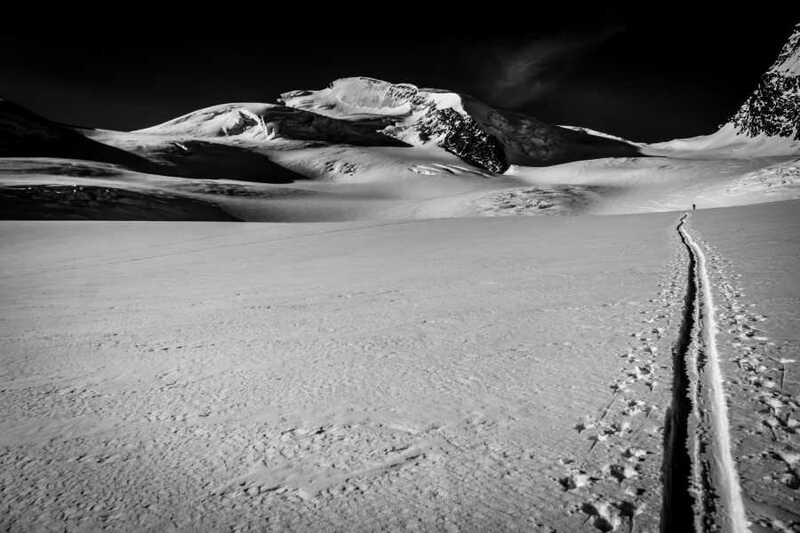 In the first part of the ascent you will cross the Hohlaub glacier. After a climb of 3 hours, we arrive at the Adlerpass (3789m) where you can enjoy a first look at the Monte Rosa group and the last ascent, which leads over a broad ice field to the summit ridge. The last few metres to the summit cross will reward you with a spectacular panoramic view over Northern Italy to the Po Valley on clear days. 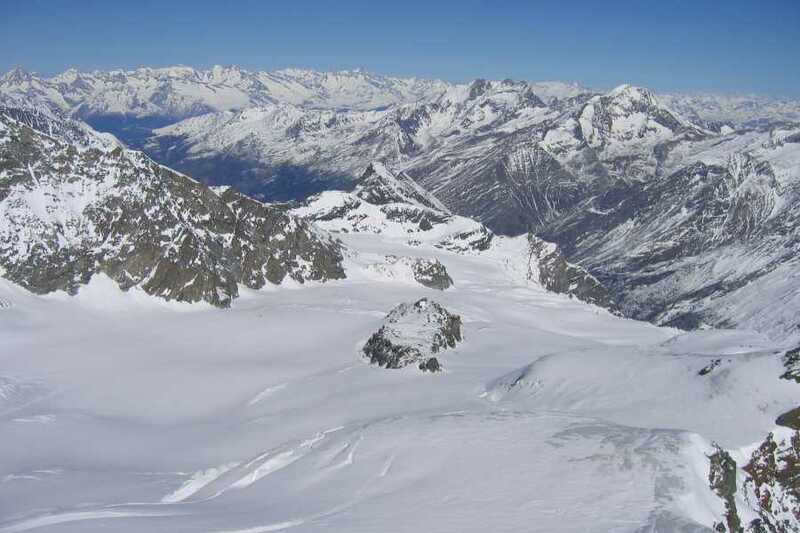 Far away from the Saas-Fee ski area, our Saas-Fee Guide will lead you safely down to Mattmark/Saas-Almagell. ​Due to the warm temperatures, the tour to Strahlhorn has to be started from the Britannia hut in April. But also earlier in the season an overnight stay in the hut is a very nice option to begin your touring adventure. The britannia hut opens at the first weekend in March and stays open until Mai.